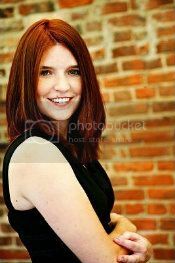 I'm very excited to have Bethany Griffin here today as a feature for Best I've Read 2012. 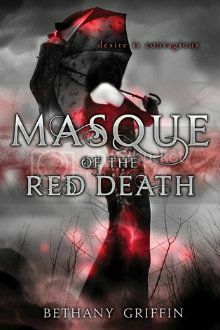 Masque of the Red Death is full of mystery and intrigue, and it is definitely a book that left me eager to read more. Please take a few minutes to learn more about this amazing author! If this were Twitter, how would you pitch MASQUE OF THE RED DEATH in 140 characters or less? I usually just say a Steampunk/post apocalyptic retelling of Poe's Masque of the Red Death, because that covers the historical aspect (even though it isn't strictly steampunk). IDK, I guess it gets the idea across? If MASQUE OF THE READ DEATH were made into a movie, who would you want to play Araby, Will, and Everett? This is a question I'm really bad at, because I don't really keep track of young actors and actresses. MASQUE OF THE RED DEATH is an expansion of Poe's short story by the same name. What was this expansion process like? Well, I obviously read his version quite a few times, and then I used Prince Prospero and the plague in my version, so I basically set my story within his world. I tried to keep the tone dark and gothic and claustrophobic, and hopefully something that appeals to Poe fans (since I'm a huge Poe fan myself). I was very aware of the major theme of Poe's story, that Death comes for all of us, regardless of social status, and I tried to work that dichotomy between rich and poor into the story, and in the end it became a rather large part of the story. Once the framework of the story was in place, I didn't refer back to Poe's version very often. Though I did consult it several times for the masquerade ball in book 2! Do you have other favorite stories or poems by Poe? The Fall of the House of Usher is my absolute favorite. And I love The Raven. If you could have any talent or skill, what would you choose? What can you tell us about DANCE OF THE RED DEATH? Well, it features a masked ball. You'll know who Araby ends up with well before the end...it's much more fast paced that Masque, at least I feel it is, with Araby being pushed to think for herself and make her own decisions. Harper Teen, the publisher of MASQUE OF THE RED DEATH, has donated several great books that are being given away in several prize packs. You don't want to miss out on a chance to win these titles! Today the Best I've Read blog is featuring SHADOW AND BONE by Leigh Bardugo and THE IMMORTAL RULES and THE LOST PRINCE by Julie Kagawa! Please click here to learn more about these books and authors!